Being pulled over by the Police is nerve-racking enough, combine that with the fact that you’ve been drinking and you just might be tempted to try to get away from the Police which would, of course, only make matters worse. Fleeing from the Police, also known as an unlawful flight is considered a felony in Phoenix. In addition to pressed with for fleeing the Police, you could also be facing additional charges such as a DUI. According to ARS 8-622.01, a driver of a motor vehicle who willfully flees or attempts to elude a pursuing official law enforcement vehicle that is being operated in the manner described in section 28-624, subsection C is guilty of a class 5 felony. The law enforcement vehicle shall be appropriately marked to show that it is an official law enforcement vehicle. One of the keys to the statute is that the Police vehicle must be clearly marked with the lights and sirens activated to clearly indicate that you should stop. If law enforcement can prove that you willfully intended to elude them by not pulling over when prompted, you will be facing unlawful flight charges. Felony offenses are the most serious criminal charges as they are more severe than misdemeanors and carry far harsher punishments. 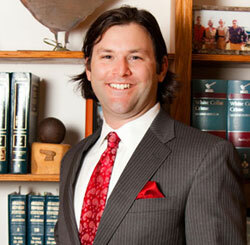 It is imperative that you hire an experienced criminal defense attorney. Class 5 felony offenses include unlawful flight from law enforcement, theft of a credit card, criminal damage, theft and aggravated assault on a police officer. How do I choose the best Criminal Defense Lawyer for me? Choosing the best Lawyer to represent you requires a great deal of work on your part, however, ywhen our freedom is at risk you need the experience of a seasoned DUI defense lawyer in your corner. When your freedom is at risk, contact criminal defense attorney Aaron Black or call to set up a free consultation today at 480-729-1683.